SilverCadillac wrote: doubled down on the 2 oz Libertads .... so beautiful to me. 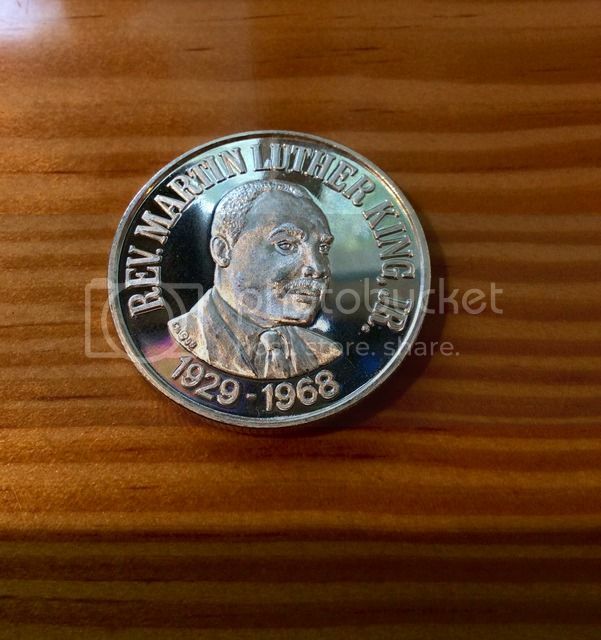 I included extra money for expedited shipping and the Seller threw in a Merc dime. Everybody wins! Found a Ship in stormy waters, aka Privateer v1, for $48 @ a show today! At Coinarama, I got 3 Engelhard bars and an Engelhard Prospector for $19 each! The dealer had a bin of silver for $19 (because they were flawed with scratches or other defects). 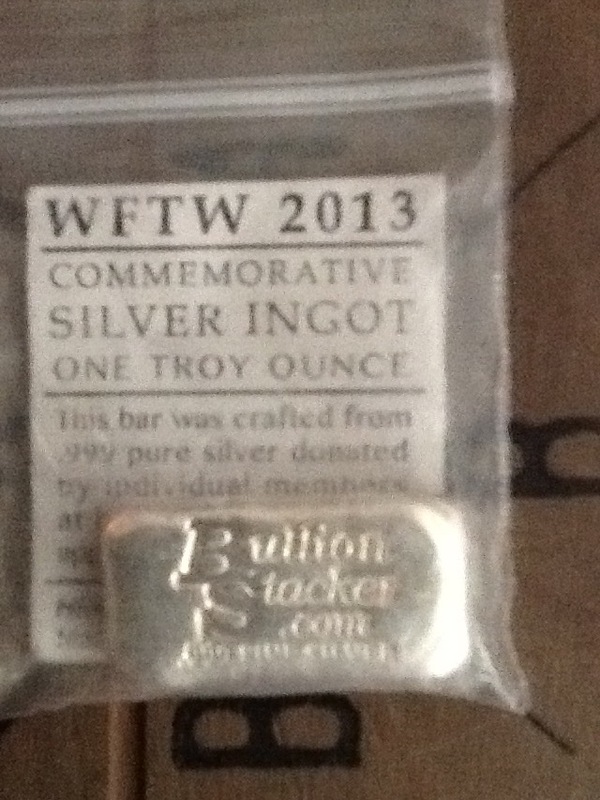 It was great to get some Engelhard items for under spot! 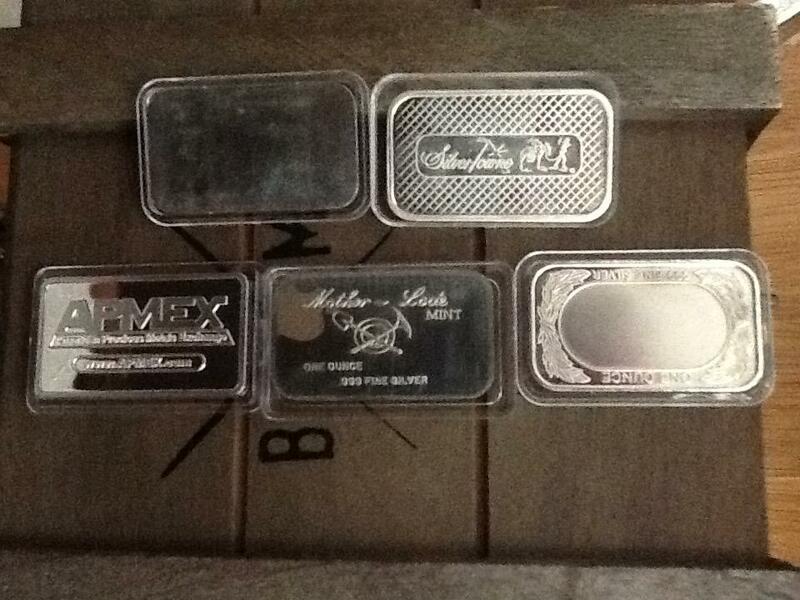 AndeanCat wrote: At Coinarama, I got 3 Engelhard bars and an Engelhard Prospector for $19 each! 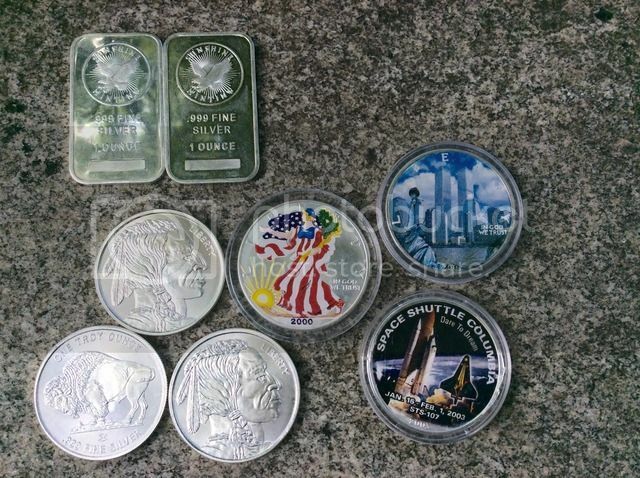 The dealer had a bin of silver for $19 (because they were flawed with scratches or other defects). 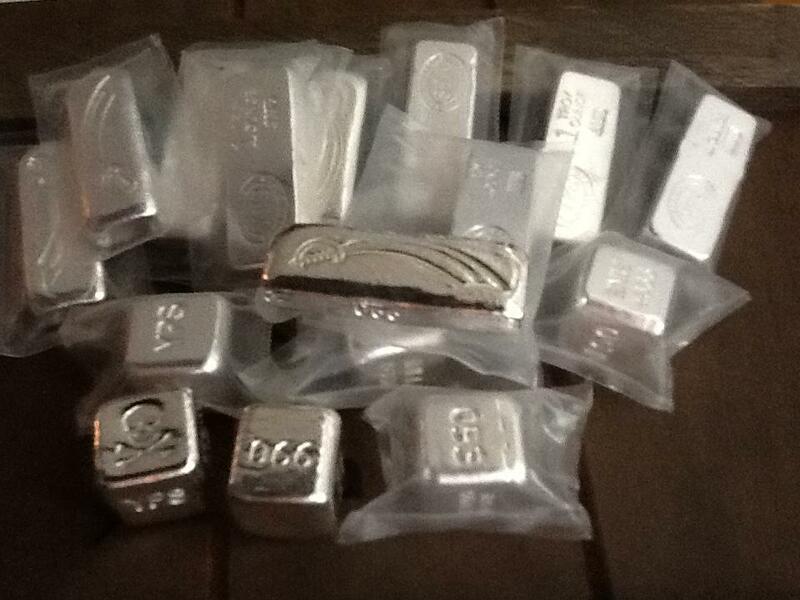 It was great to get some Engelhard items for under spot! hallmarked -- but not numbered - at least not yet. $70 or so, i would think. Pretty good day. Sold two mowers for $120 and bought the following for $110 all on Craigslist. Baggerman wrote: Pretty good day. Sold two mowers for $120 and bought the following for $110 all on Craigslist. Nice! I haven't had much luck on CL, but I got a few $$FV for 14x and some sealed sunshine bars for $20 ea. All under spot! I scored these at a pawnshop somewhere SE of my home while I was just out driving around. They had tons of guns, probably 25+ Model 94s, some priced above 10k, wicked rare stuff. Once I got away from the gun counter, they had a bunch of random crap for coins & jewelry, but the little box over in the corner said spot + $1, so I went thru it and found these five. I especially like the Winchester bar, but the Masonic one is pretty cool too. All are in decent shape, and at that price I couldn't walk away from them. 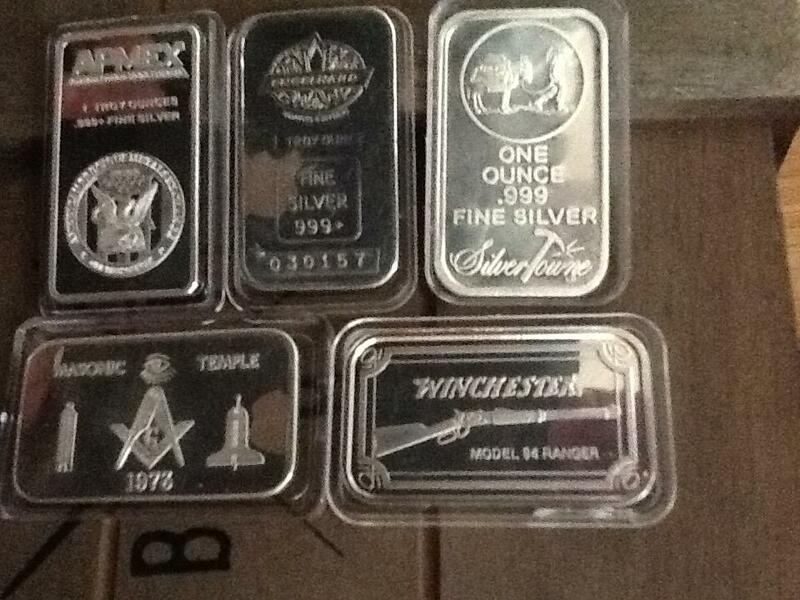 Overall, last week was a good week for increasing my silver holdings, scored some really cool stuff. If I can get posting pictures figured out, I will post my new goodies. Last edited by Bookwalter on Tue Aug 16, 2016, edited 1 time in total. 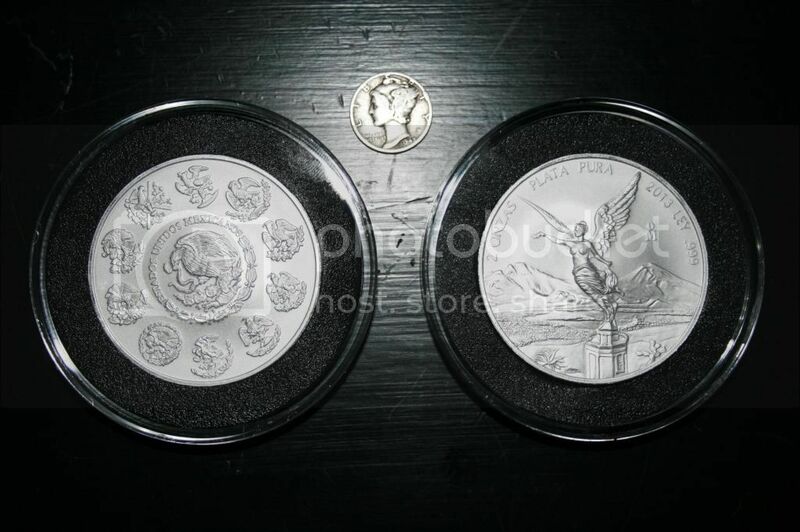 Got a nice score on 6 5oz "Scruffy" Libertads from Apmex. $127 each, 4 of them appear to be BU and 2 Proof. All 2010s. Should be able to make a little profit. Lots of fingerprints on them but no real scratches. 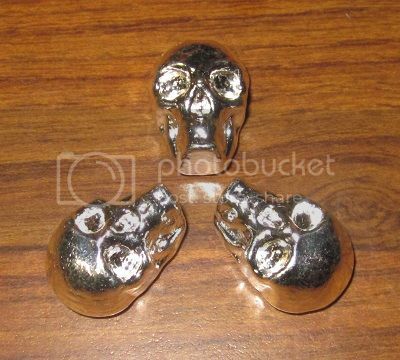 I picked up three YPS 1 ozt Skulls Version 2 on ebay for $89. Nobody even bothered to bid against me. Score! bought 5 pre 1900 silver dollars about face value. a guy at gas station was buying cigarettes had 5 silver dollars. i bought his smokes and gave him his .50 change for the 5 coins. he said he new they were worth more but cashier was only giving him face value and he wanted cigarettes. He drove away happy, i drove away very happy. Sounds to good, better verify there not from china, This happens in Hollywood all the time at gas stations. k penny wrote: bought 5 pre 1900 silver dollars about face value. a guy at gas station was buying cigarettes had 5 silver dollars. i bought his smokes and gave him his .50 change for the 5 coins. he said he new they were worth more but cashier was only giving him face value and he wanted cigarettes. He drove away happy, i drove away very happy.